The electronics team went above and beyond with blinging out our car for Midnight Mayhem. We managed to use data from the hall effect sensors on the gearbox to have a functional speedometer on the car. Although we ran into some “technical difficulties” with its functionality during later laps of the endurance race, we now have a way of determining the speed of the car, which will be super valuable for testing later in the season. 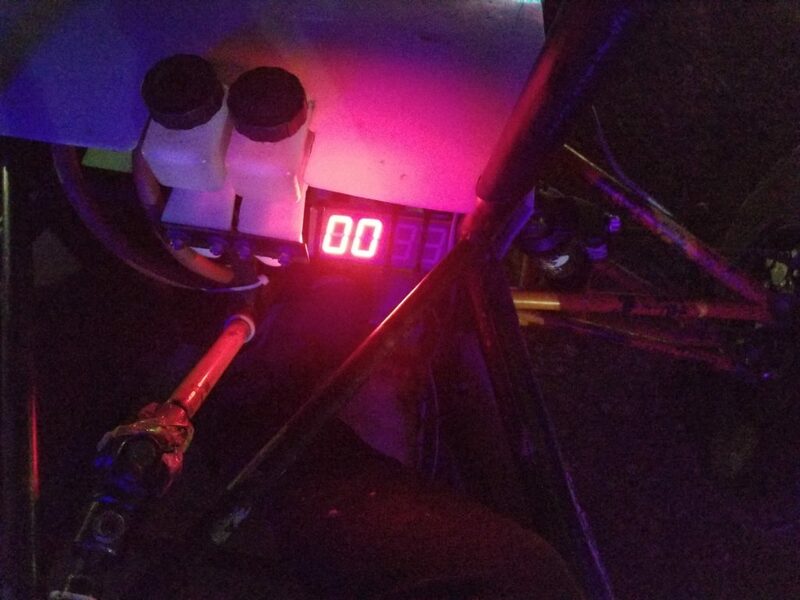 While the speedometer was cool, the best part of the electronics swag was changing text that Ethan and his team displayed on the back of the vehicle. We had all the best UR Baja phrases from “SEE YAA” to “NOT RIT” and Anchors (if the last one doesn’t make sense, just ask Noah Meyers, and I’m sure he’d love to explain). 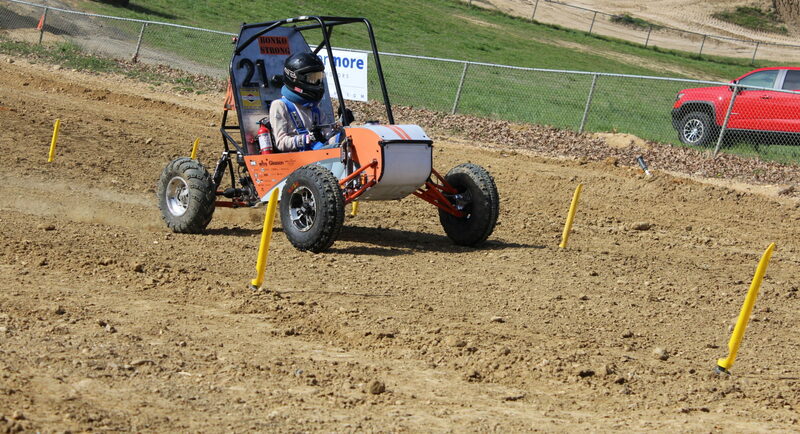 Besides working on blinging out the car, the electronics team has been very busy working on data collection. One of our team’s goals this year is to greatly improve our data acquisition and validation of engineering models used in our design. 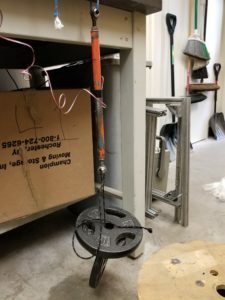 In the picture, you can see one of our strain gage tests on an old tie rod. We will be using data from this test, and other tests that we’ll do throughout the season, to compare theoretical values from FEA with actual, measured values. This will ensure that we complete the engineering design cycle, and should improve our design scores at competition. More importantly, it should help us determine where we can cut weight from our designs!